grassland and quarries, and by roads and railways. 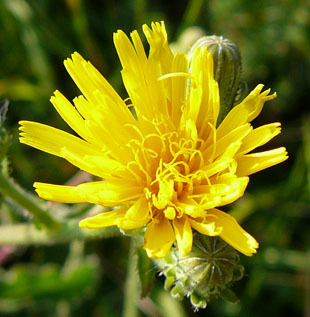 or perennial herb, growing up to 1m. 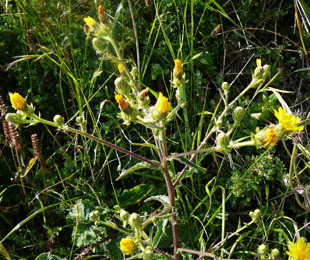 Flowers are up to 35mm with bright yellow florets. The florets may be tinged reddish below. 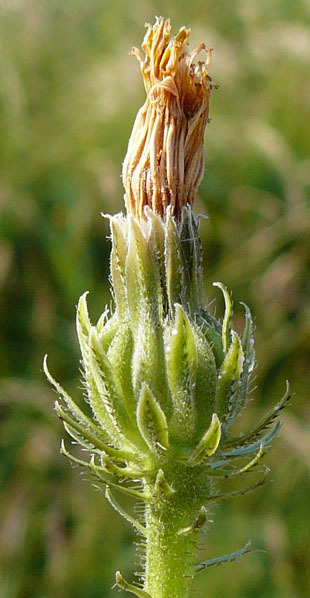 The flowerhead has 3 layers of bracts. 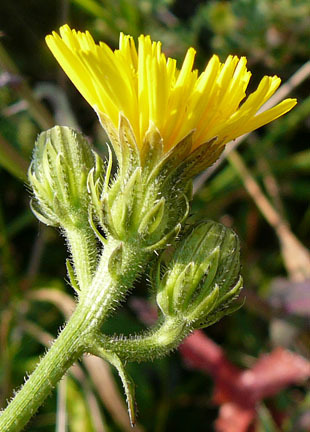 Bracts have hairs down a central strip - some are black. 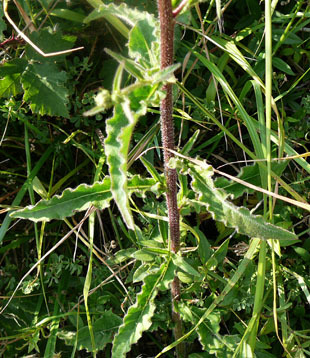 Leaves are hairy, lanceolate and wavy edged. The bottom surface of a leaf has stiff hairs along the rib. 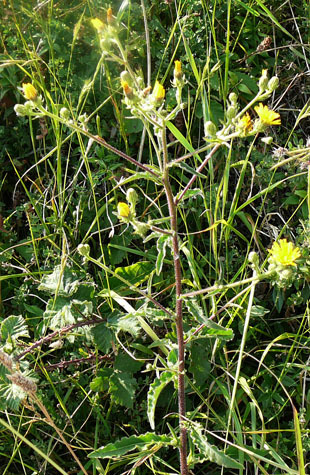 The stem is stiff, wiry and bristly.